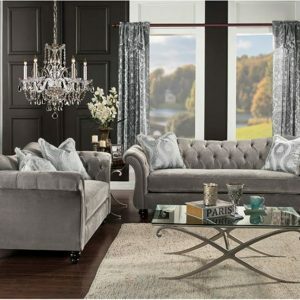 A sophisticated addition that will augment the beauty of any room, this sofa set is a must-have for any refined space. 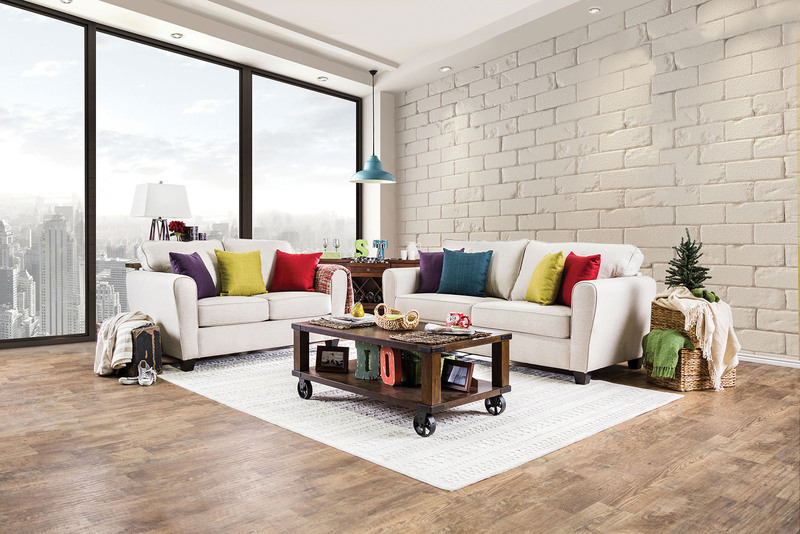 Matching welt trim outlines the unique and sloped framework while contrasting with the smooth beige upholstery. Unique patterns adorn the accompanying pillows to add a touch of voguish designs.